Enjoying the last bits of Summer. It seems that Summer just began in July, so the fact that it is September and the season has officially started to change, feels as if it went by much too fast. The mornings are a bit cooler, the evenings require a light fleece layer, and the sunlight has shifted, slightly lower in the sky. Fall may be calling upon us but we have decided to screen our calls, let the answering machine take a message and get back to fall when we are good and ready. 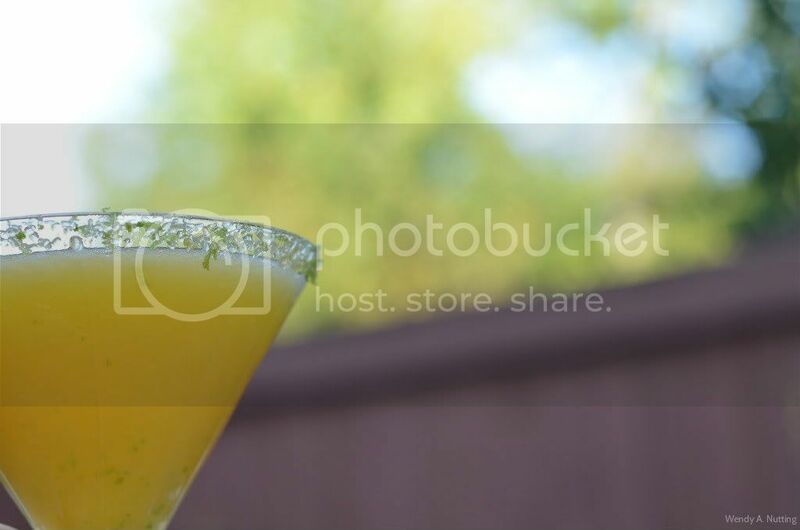 So we filled this long holiday weekend with as much Summer as we could squeeze in and it all started with Mango Lime Margaritas on the patio Friday night. I altered this recipe taking out the sugar adding more lime and using fresh mango and a bit of mango puree. 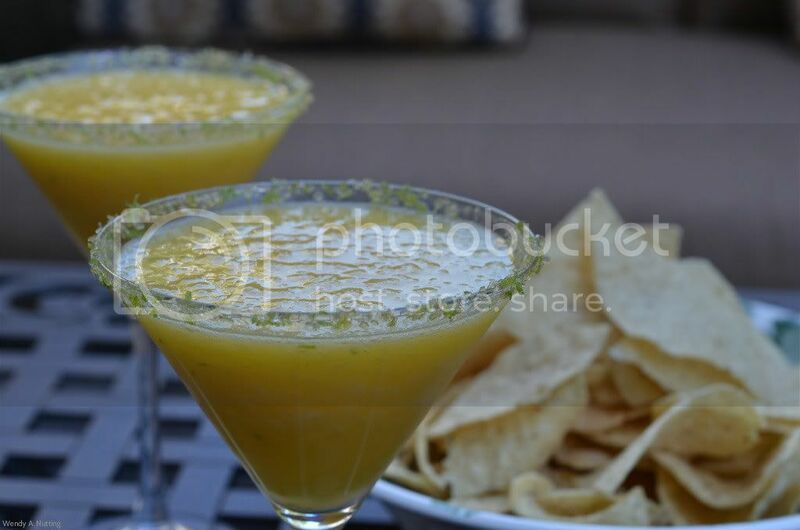 We are usually purists when it comes to margaritas and not big fans of the blended versions but these are yummy and the thick rim of lime spiked sugar around the rim of the glass is addicting. 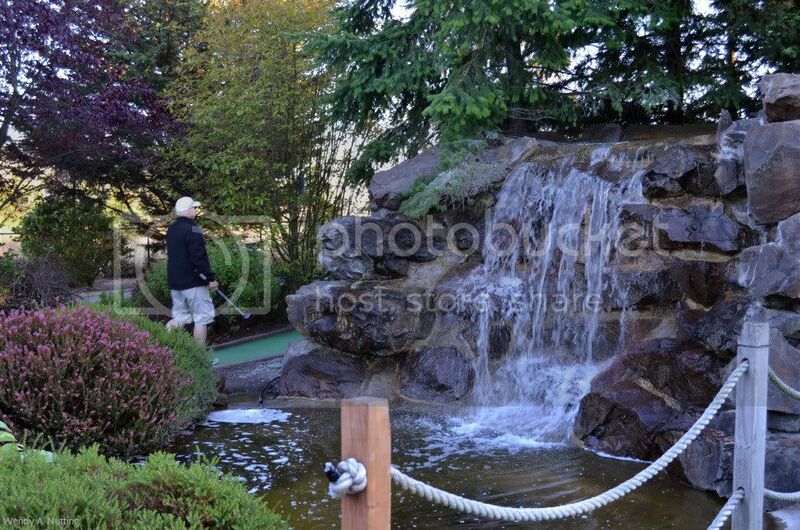 Our plans for Saturday included happy hour burgers at Ray's Boathouse and a game of mini golf at Inter-Bay. 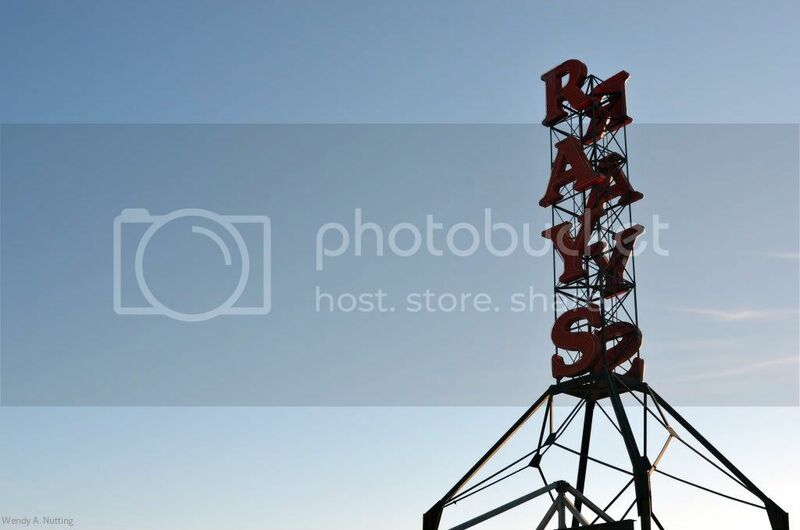 The weather was perfect and the crowd at Ray's was massive but we were lucky and able to get seated right away. Then in the middle of dinner, I challenged Clyde to the game of mini golf. And it was all going good until I realized he brought his own putter and ball. Seriously, who does that? A golfer does that and I don't know what I was thinking challenging him in golf, even if it was mini golf, but I could not take back my wager. It was a beautiful evening and much to my surprise the course was quiet with just a few groups ahead of us. I liked that no one was rushing behind us and I took advantage of that with a Mulligan on the first hole, ok maybe it was a few Mulligan's but who's counting? Well, Clyde was counting and with his score card, golf pencil, and his own "Never Compromise" putter he brought from home, I knew I was in trouble right away. The first two holes went well, we tied one and I was one behind on the next. The third hole my shot resembled that of a pin ball machine, way too hard and my hot pink ball bounced off the bricks three or four times and then almost returned back to the tee, whoops! 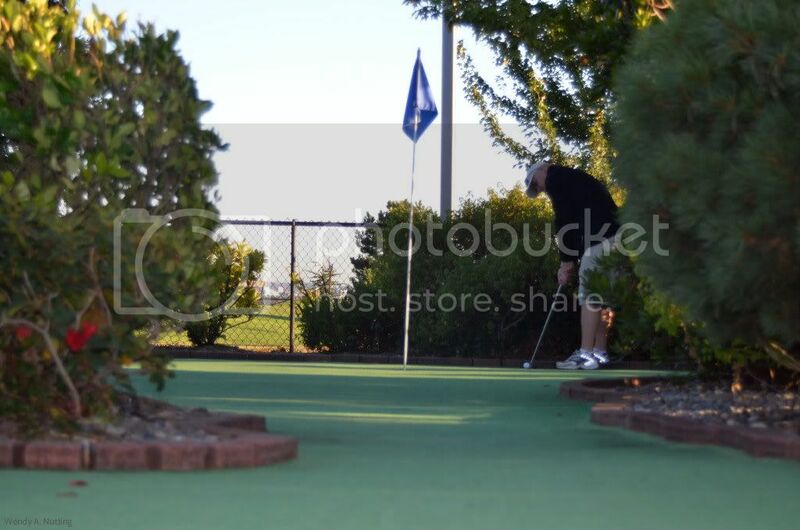 Then we came to the fourth hole, the fourth hole shook my mental game. 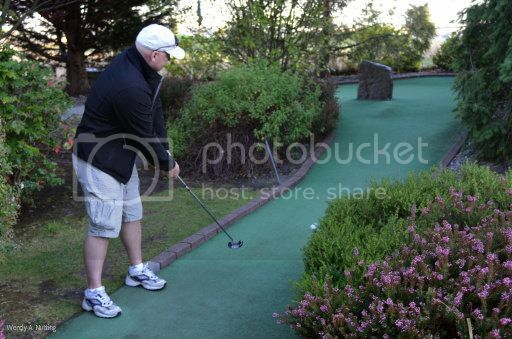 This hole has a boulder obstacle and a sharp left turn. 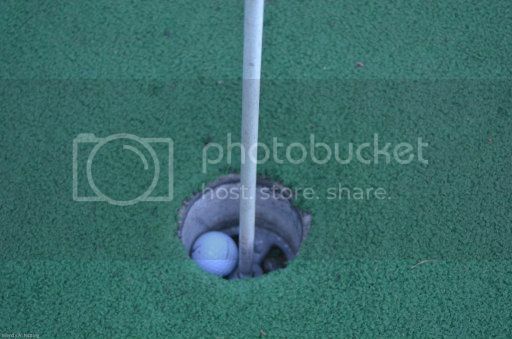 Clyde lined up his putt and drew the club back ever so gently, he tapped the ball onto the green and watched with pride as he achieved the coveted hole in one, oh crap, I mean "Great shot Sweetie!" Yikes, the next fourteen holes were not hole in one's but they might as well have been and all I can say is I left the loop with five dollars less in my pocket than I started. And since everyone knows, mini golf always requires a trip to the ice cream parlor, we decided to try the famous Molly Moon's. 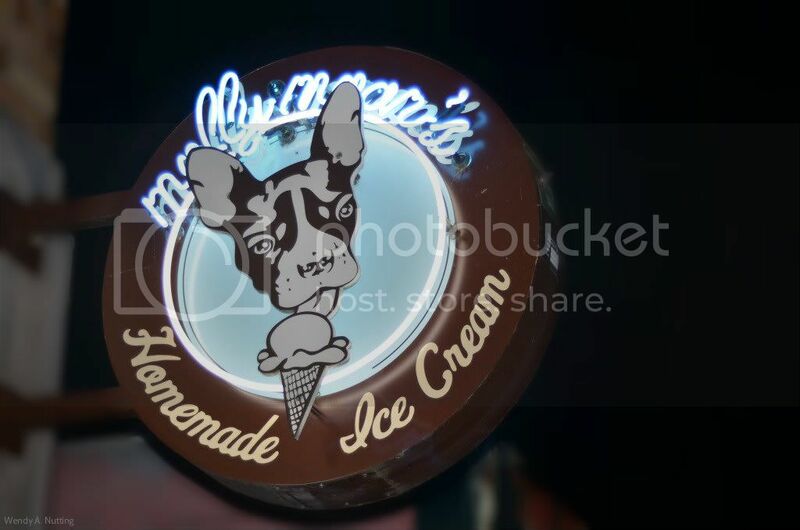 I had heard many great reviews about this boutique ice cream and was anxious to try some of the unusual flavors, salted caramel, honey lavender, roasted apricot and cream, strawberry, Stumptown coffee, balsamic strawberry, Theo chocolate and many others. 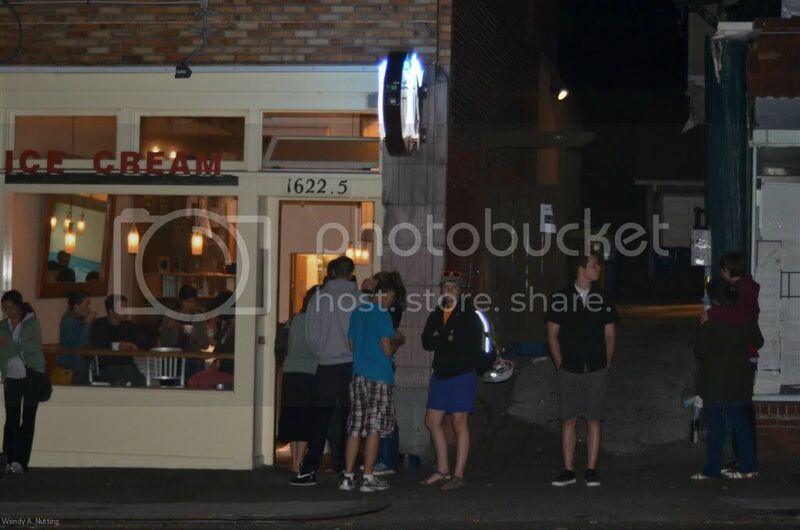 So we headed over to 1622.5 ~ N 45th St. and we knew we had arrived at the right spot, when we saw the line out the door and spilling up along the sidewalk. That is always a good sign, right? 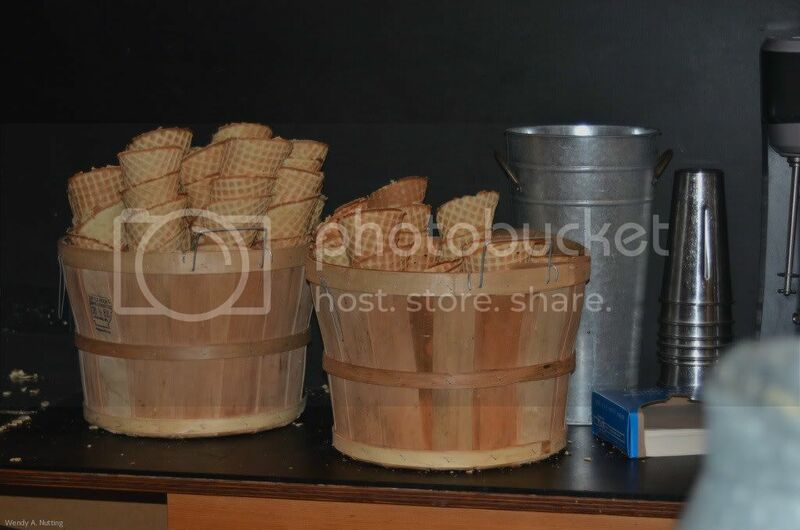 The smell of sweet cream and freshly made waffle cones greeted us just outside the doorway and the line snaked all the way down to the end of the shop and back again. We sampled the watermelon sorbet and honey lavender ice cream while waiting in line, and before too long we were ordering, I indulged in the salted caramel and Stumptown coffee while Clyde had the salted caramel and the roasted apricot and cream. Yum! Our favorite was the Stumptown coffee, not too sweet with a strong, fresh coffee flavor. It was delicious and the line of patrons kept coming, spilling out the front door and continuing up the sidewalk even as we left. Sunday we had friends over for a late lunch on the patio and the Mango Lime Margaritas returned. It was a lovely long weekend and I have decided to put off answering the call of Autumn until next Sunday, which is when the rain is expected to return. I hope you are all enjoying the last bits of Summer.